At the end of the school year, it is fun to look back to see how much a child has changed and grown. 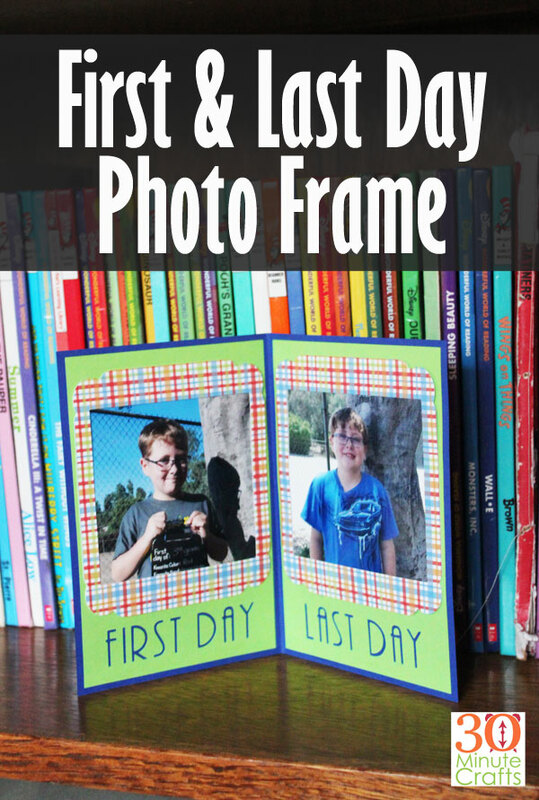 This simple “First and Last Day” photo frame lets you and your child compare side-by-side just how far they have come! Print out photos and put them in this simple frame to see how much they have changed this year! This project is part of a special week of Cricut projects some of my friends and I are putting on. Each day this week we’re sharing projects that celebrate the end of the school year – graduation, teacher gifts, and more! 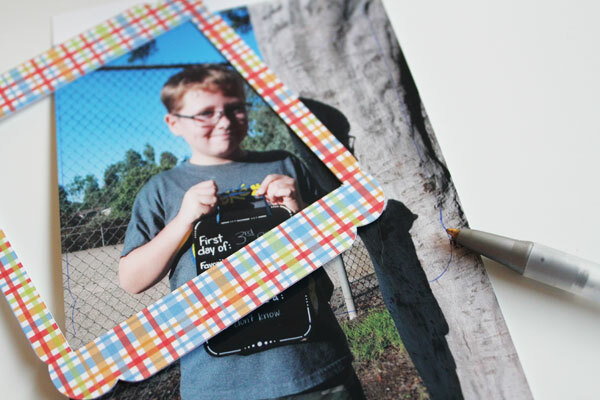 Scroll all the way down to find dozens of ideas for end-of-school-year crafts to make! 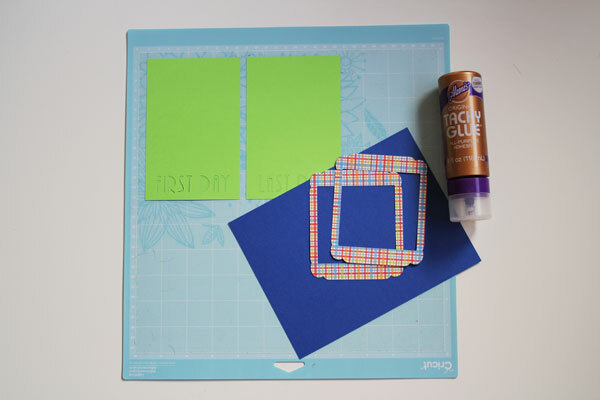 Cut out the pieces using the First and Last Day Frame Cut file. 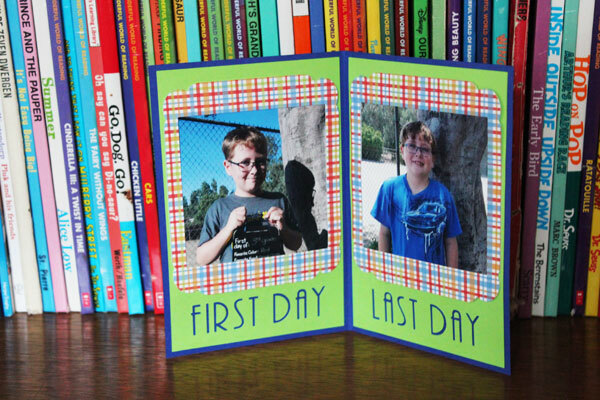 Print out your pictures from the first and last day of school. You can use the first and last day of the same grade, the first and last day of elementary school, or even the first day of kindergarten and the last day of their senior year! So many ways to interpret what the first and last days of the school year are! And you don’t have to limit yourself – you can make one each year, or several! I’m using the Canon Selphy to print out my photos. 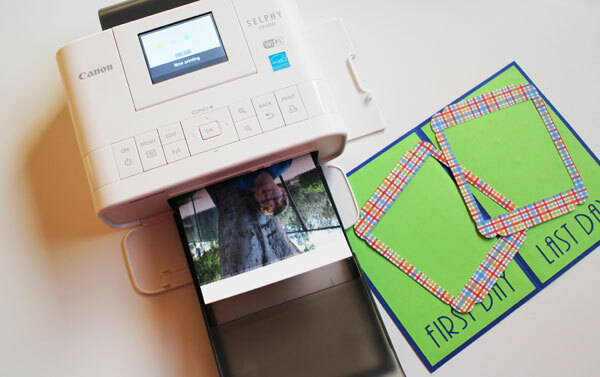 It is super quick and easy to use, and I can print photos right from my phone onto photo paper! Trim up the photos. You can cut them a little larger than the hole in the frame (the hole is 3″), or you can trace the outside, and trim the photos slightly smaller than the traced line. Glue the layers together, and you’re all done! 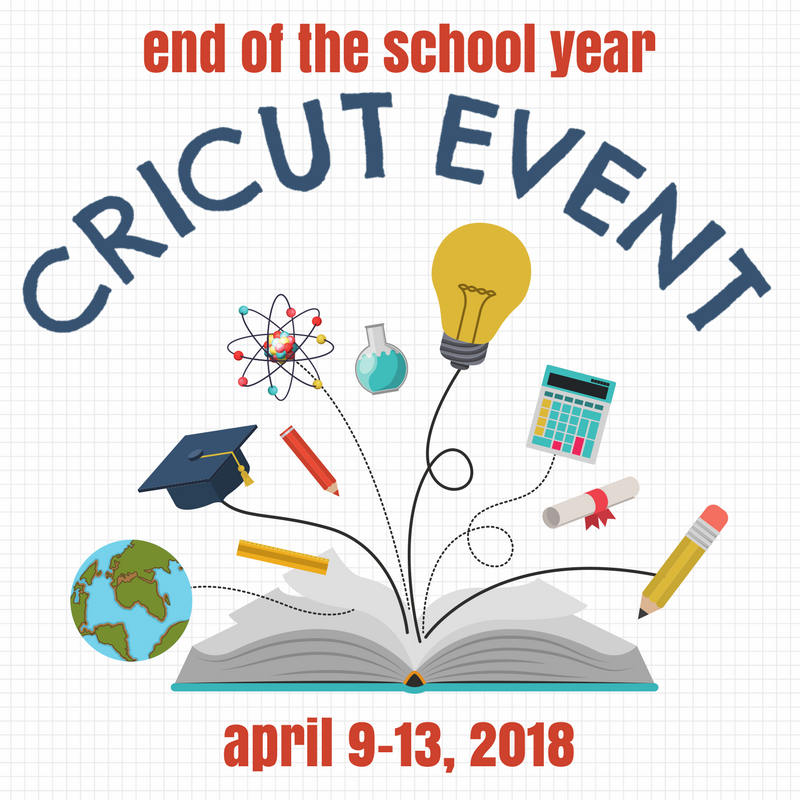 Be sure to check out all the other fun ways to celebrate the end of the school year!